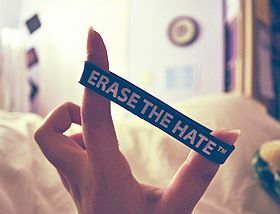 The purpose of hate is to destroy love. The purpose of love is to destroy hate. Shoot me with hate, and I'll fire back with love. Remove the curtains of hate, to open the window of love. I prefer to hate and remember than forgive and forget. The word hate refers to intense dislike for any object or person. Hate refers to abhor or detest someone intensely. You start to hate someone if you end up having a fight on account of mismatching of views, or if someone breaks your trust and betrays you or if find that someone indulges in back-biting about you. Hate leads to hatred, which is an abstract feeling for someone whom you detest badly. You hate an object or thing when it does not appeal to you or if it reminds you of the person whom you hate. Hating someone happens to all human beings because we have disputes and quarrels with someone, sometime or the other. Richard M. Nixon had once remarked, “Always remember that others may hate you but those who hate you don't win unless you hate them. And then you destroy yourself.” Hatred is obviously a negative feeling.